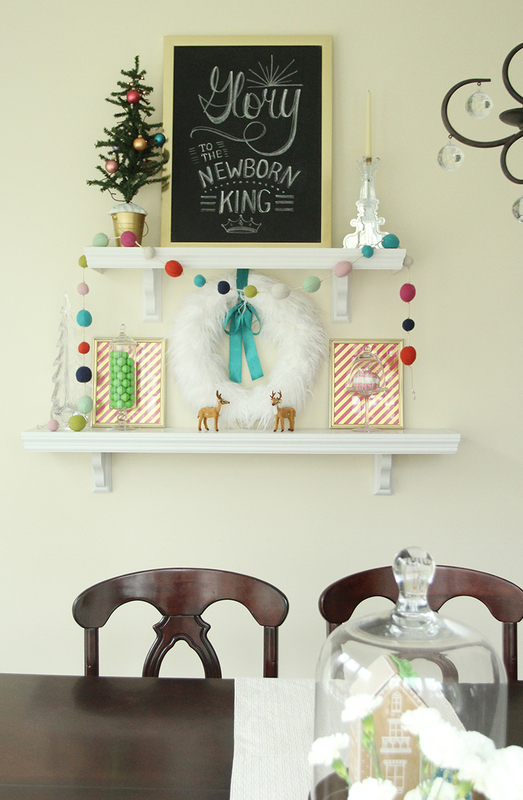 Colorful Christmas Shelves and Free Chalkboard Printable! 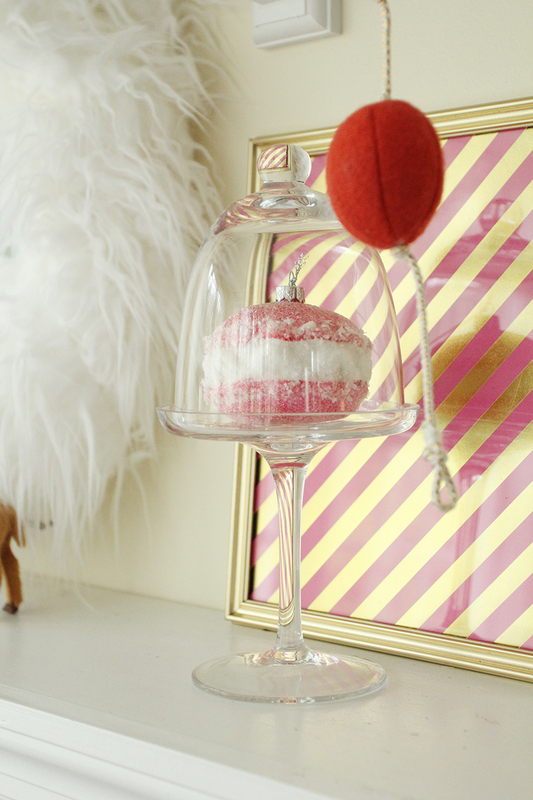 It’s my 6th annual styling-of-the-cafe-shelves and just when I thought I may start running out of ideas for these shelves by now, I found a colorful pom pom garland at Target and suddenly I was inspired. I used my fur wreath again from last year which I made with this awesome fur I had leftover from pillows. And these little deer ornaments from Target seemed perfect for a vintage feel. 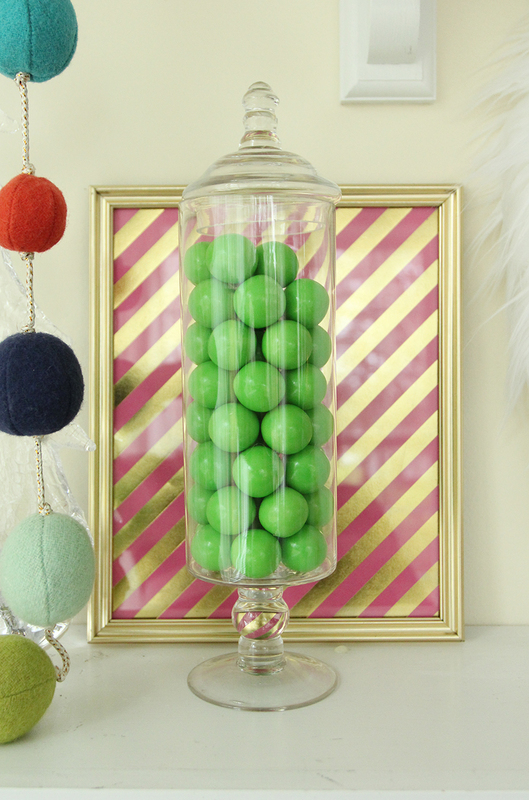 My new favorite gold foil papers from Hobby Lobby framed in dollar store frames made a great backdrop of color for the green gumballs and Abby’s little macaron ornament! 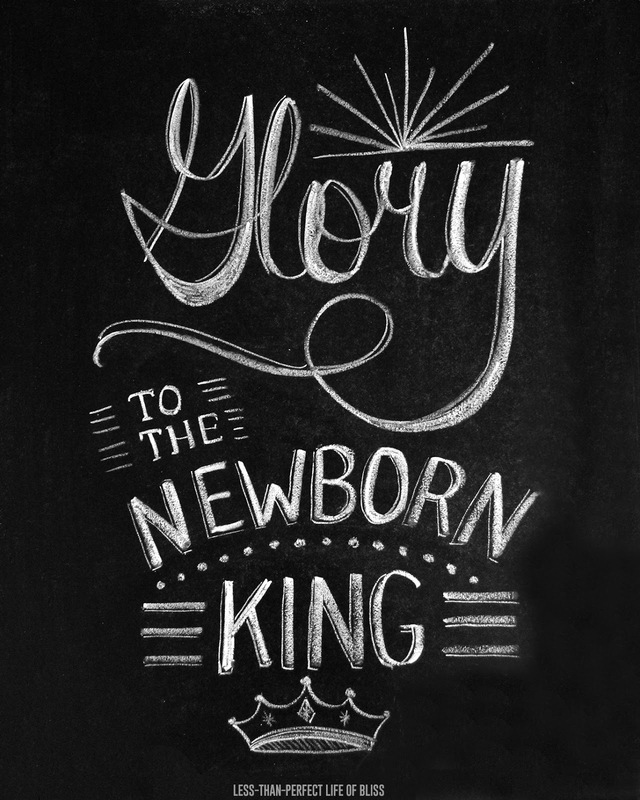 And, of course, I’ve got new Christmas chalkboard art and a free printable for you if you want it! Just click here to print! It’s beginning to look a lot like a Christmas tour around here which will be coming soon! Can’t wait to have y’all here! **Affiliate links in this post help to support this blog! thank you! 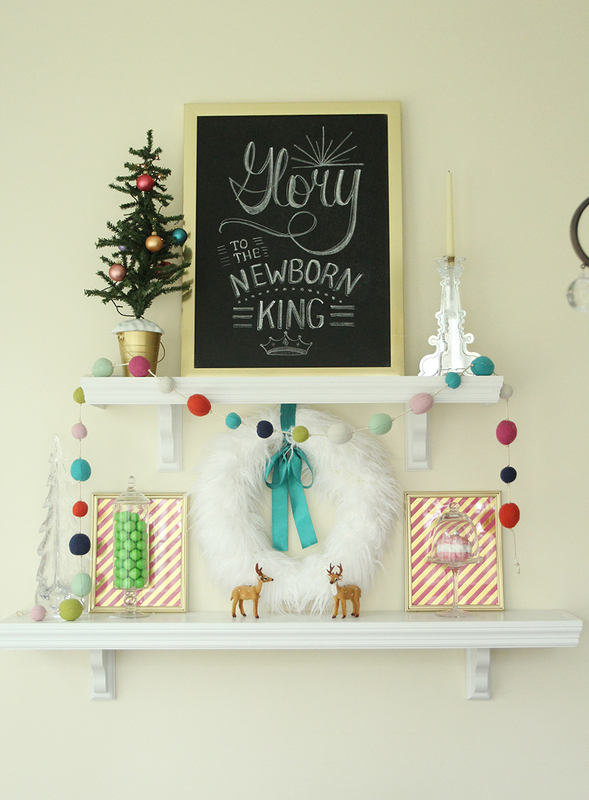 This entry was posted in Uncategorized and tagged Chalkboards, Christmas, Free Printables, Seasonal Shelves. Bookmark the permalink. Follow any comments here with the RSS feed for this post. Post a comment or leave a trackback: Trackback URL. « Holiday Hacks and Seasonal Scores! So cute!!!! I'm loving that garland!! Did you make that or find it somewhere? Thanks so much for the printable Julie! 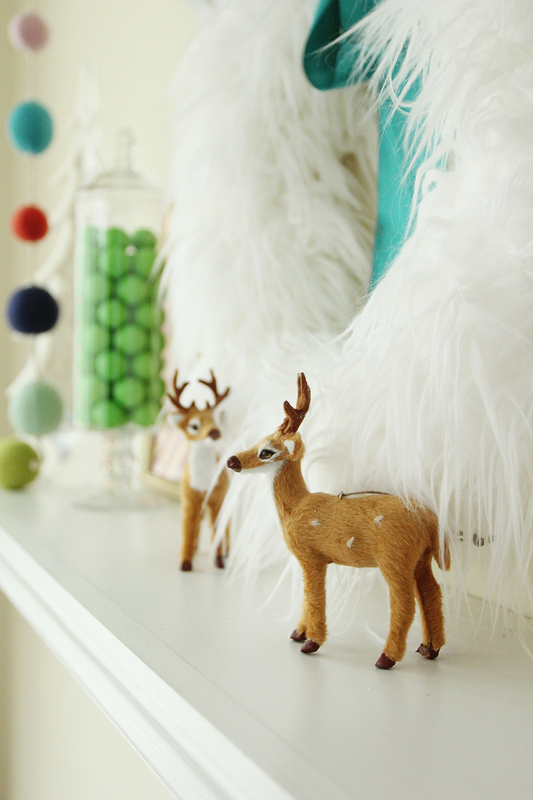 I really like the pom pom garland on your shelves! Everything is so cute! Love that pom-pom garland and fur wreath. Your chalkboard art is amazing, as always. Can't wait to see the rest! What wonderful & cute Decorations!!! I definitely needed the inspiration! 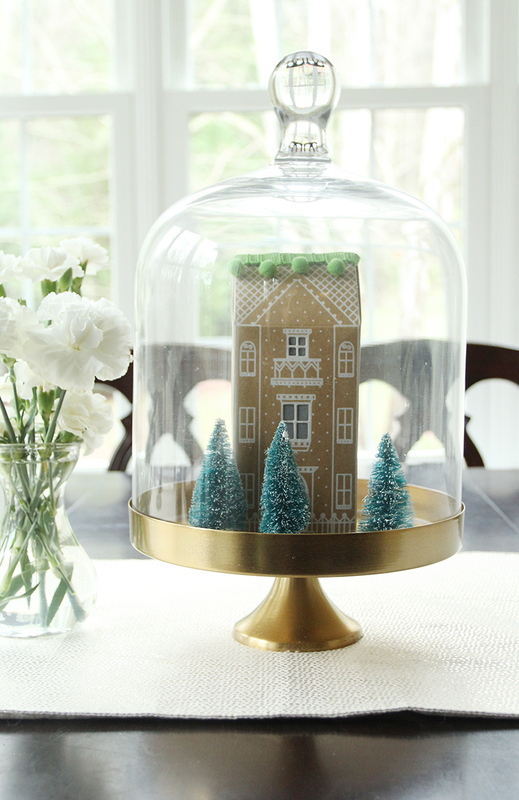 I'm decorating my home this week!